Praise and Worship – Join Father Mike Joly, various musicians and many parishioners including a vibrant and faith-filled contingent of youth for evenings spent in adoration of the Blessed Sacrament. Come lift your souls every Wednesday evening beginning at 7:00 p.m.
Scripture Study – Ever wonder what certain scriptural passages mean? Ever wonder about the Church’s teaching on: Morality, Euthanasia, Contraception, Abortion, Reproductive Technology and why? Then join one (or more) of our Monday and Thursday Night Scripture Study groups. 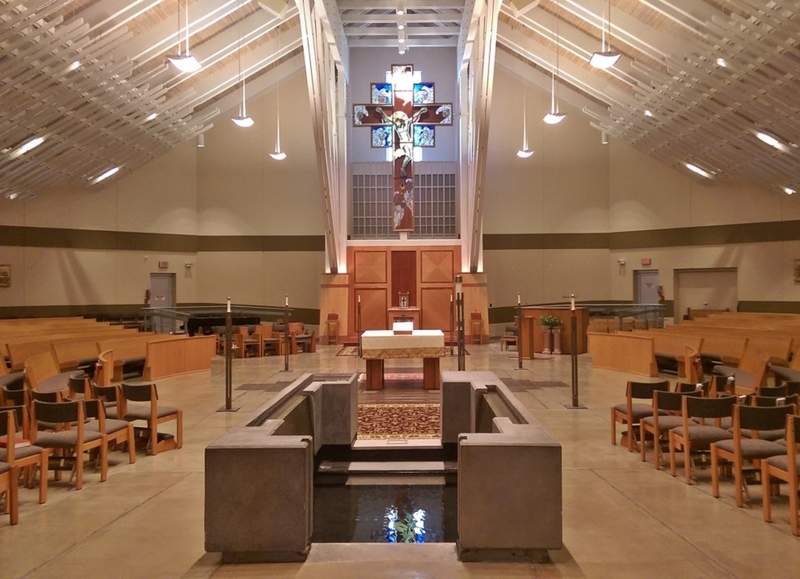 Retreats – There are various retreats on-going around the parish, for youth and adults. For information if you are called to attend and/or called to serve at the retreats, contact Chris Ladnier at 874-5669.